ANNAPOLIS, Md. — Lawmakers in Maryland have voted to protect local funding for the contraceptive and abortion giant Planned Parenthood in the event that Congress federally defunds the organization. Republican Gov. Larry Hogan decided not to veto H.B. 1083, but would not sign the bill either, allowing it to simply become law by his inaction. “The Department [of Health] shall, to the extent permitted, subject to the limitations of the State budget … ensure access to and the continuity of services provided by family planning providers that were family planning providers in the program as of December 31, 2016, and were discontinued as recipients of federal funding under federal law or regulation because of the scope of services offered by the provider …,” the bill reads in part. According to the Baltimore Sun, the legislation would provide an estimated $2.7 million for the nine state chapters of Planned Parenthood should Congress defund the organization. “If the federal government eliminates Planned Parenthood, someone’s going to have to step up and it might have to be the state,” Senate President Thomas V. Mike Miller said. But Maryland Right to Life had organized a letter-writing campaign to urge lawmakers not to fund those that kill unborn children. “Stop legislation to fund Planned Parenthood—the largest provider of abortions in Maryland and in the United States with over 300,000 abortions performed annually. Abortion deliberately kills by violent means, a genetically unique innocent human life whose heart is beating 18 days after fertilization,” the template correspondence read in part. Nonetheless, the bill passed the House 90-54 and the Senate 32-15. Because Hogan chose not to veto the legislation, it will go into effect July 1. Planned Parenthood of Maryland President Karen Nelson cheered the development. “It’s incumbent on all of us to keep up the fight for women. No state should have to step in to fulfill the federal government’s responsibility to ensure everyone has access to care,” she said. Planned Parenthood does not provide mammograms as it is not licensed to operate mammogram machines, and its annual report outlined that fewer than 700,000 women received services surrounding cervical cancer screenings (pap smears for women who have been sexually active), equating to just seven percent of its services, while STD testing and contraceptives accounted for 76 percent of its services. 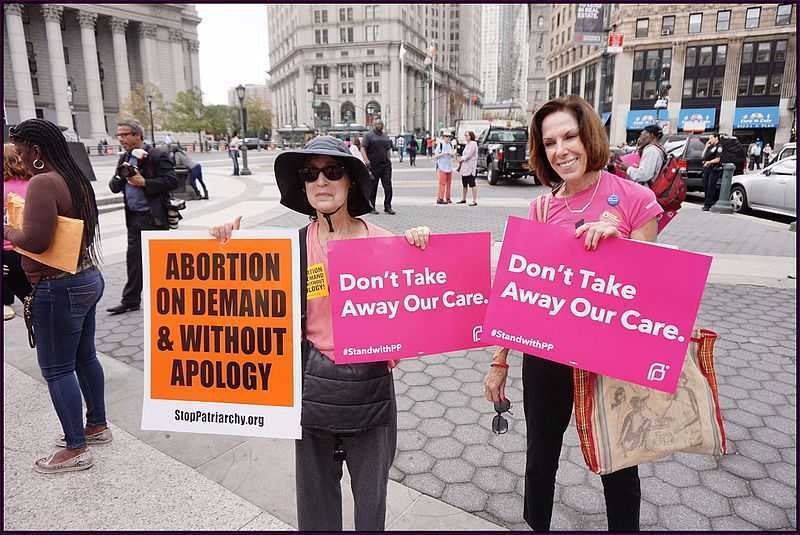 Planned Parenthood has not released its 2015-2016 report for unknown reasons, which has raised questions and red flags for some pro-life groups. In February, thousands of women nationwide took to the streets to call for the defunding of the organization.